Royal Caribbean’s billion dollar smart ship Ovation of the Seas will be based out of Singapore for a season in 2017. The announcement was made when the huge vessel made its maiden call at Singapore just days ago. The Quantum class ship which only entered service in April will sail 10 cruises between March and April, 2017. The ship will offer return trips ranging from 3 to 5 nights to Penang, Phuket, Bangkok (Laem Chabang), and a one-way cruise to Tianjin with calls at Ho Chi Minh City (Phu My) for an overnight, Hue/Danang (Chan May), Hong Kong and Seoul (Incheon). Miami based Royal Caribbean will have its capacity increased to 30 percent by the time Ovation of the Seas begins sailing from Singapore. With Mariner of the Seas and Voyager of the Seas the cruise line will become the leading international line in Southeast Asia. 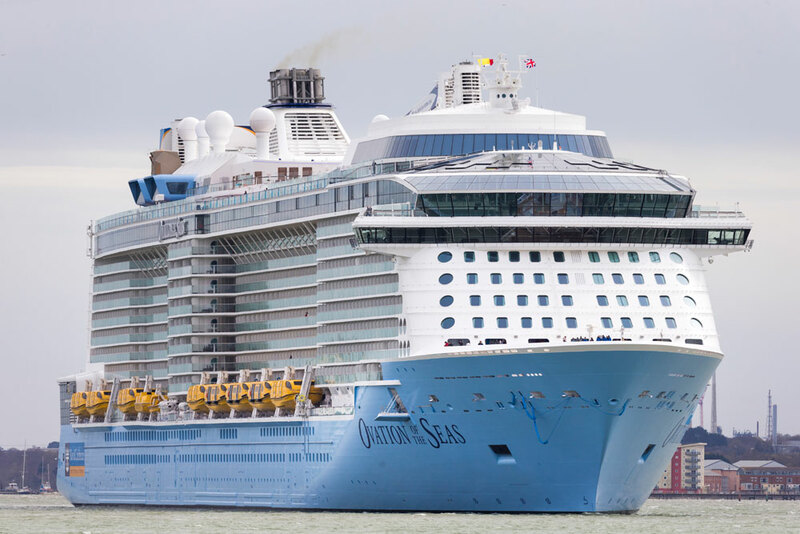 Ovation of the Seas will embark on a 3-night cruise to Kuala Lumpur (Port Klang) tomorrow with a record 4,576 guests on a cruise ship for Singapore. She will then depart for her summer Tianjin season on a 12-night repositioning sailing on June 12, calling at Ho Chi Minh City (Phu My), Hong Kong (overnight), Xiamen and Seoul (Incheon). She will also make a repositioning cruise back to Singapore later this year.